ng>Salt supports athletes by assisting with hydration and electrolyte balance during training. Maintain membrane potential. 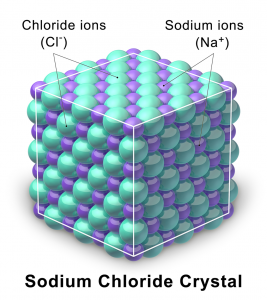 Sodium is essential for the maintenance of membrane potential, which affects muscle contraction and cardiac function. Balance electrolytes. As one of the main electrolytes in the human body, sodium intake can greatly influence electrolyte balance. Influence nutrient absorption and transport. Sodium influences the absorption of nutrients such as amino acids, glucose and water, all essential for a successful workout. Maintain blood volume and pressure. Sodium consumption causes increased blood volume and has the ability to draw water into your bloodstream. Is Iodized Salt Better for Pre-Workout? Standard salt is a mineral that consists primary of sodium chloride (NaCl). As a chemical compound, it belongs to a larger class of salts that exist as ionic compounds created from a neutralization reaction consisting of an acid and a base. 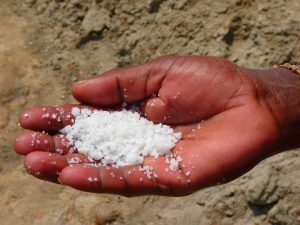 Salt is the main mineral found in seawater and also an essential nutrient for human life due to its role as an electrolyte: A type of mineral in our blood and bodily fluids that possesses an electric charge. Sodium is essential for the regulation of water levels in and around the cells within your body, as well as the maintenance of blood pressure and volume. When athletes work out, they gradually release sweat from their sweat glands. Although mostly composed of water, sweat also contains other components such as sugars and salts. Most fitness freaks will know that replenishing your electrolytes is key after a long workout, but maintaining optimal levels throughout your training can really boost your gym game. p>Glucose is an important energy source in any diet and consuming an adequate amount prior to your workout is just as important as salt consumption. 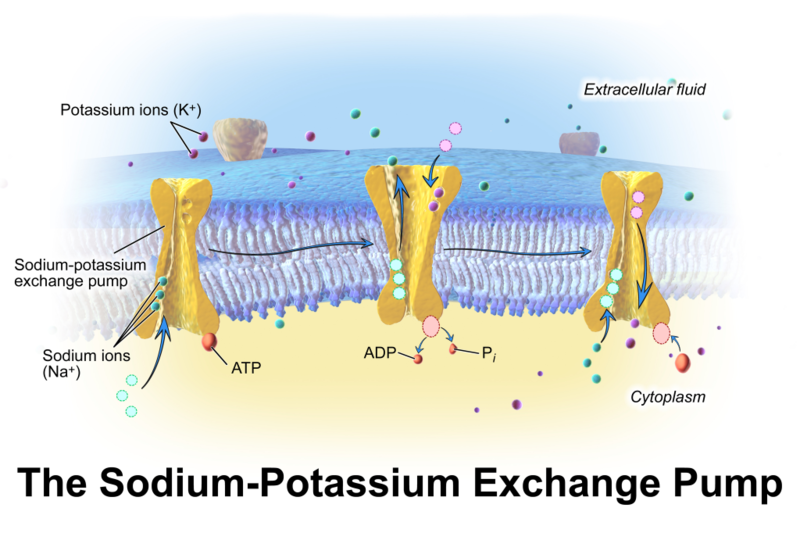 There are specific receptors located in the small intestine and the kidney that are responsible for transporting both glucose and sodium.1 In fact, certain transporters – such as SGLUT-1 – will only transport sodium and glucose ions into cells together – not alone – making a healthy combination of both a great way to ensure that your cells have an adequate amount of both molecules for proper exercise. As another common pre-workout ingredient, consuming glucose in your stack is a great way to capitalize on its synergy with salt. The differences in their concentration creates an electrochemical gradient referred to as membrane potential, which is maintained by the sodium and potassium pumps in our cells. Using energy in the form of adenosine triphosphate (ATP), these pumps maintain the electrochemical gradient essential for our bodily functioning by pumping sodium out of cells and potassium into cells. In terms of physical activity: Muscle contraction and cardiac function are the two key bodily processes that the electrochemical gradient affects, making proper regulation of sodium levels necessary to maintain this balance and ensure peak physical performance. Supplementing with salt could potentially help maintain membrane potential by making up for the salt lost in sweat and ensuring proper muscle contraction and cardiac function. p>As mentioned above, salt is the primary positive ion in the human body’s extracellular fluid.4 It is one of the most important electrolytes in the human body and guides fluid movements in and out of its cells using the sodium-potassium pump. As perspiration during exercise progresses and you continue to lose electrolytes and fluids, the risk of dehydration increases. Worst case scenario, low fluid volumes can lead to sodium content to become more concentrated in your blood, which can lead to hypernatremia: An imbalance of electrolytes stemming from an excessive level of sodium in the blood. Using salt in a pre-workout means that you can balance your electrolyte levels as you hit the gym and optimize your results by staying hydrated. >Sodium absorption in the small intestine has an impact on the absorption of chloride, glucose, water and amino acids, all essential for the effective functioning of the human body. In addition, chloride has long been known to be an important component of gastric juice,5 which is needed for the proper digestion of food in the stomach. Furthermore, thanks to its effects on oncotic pressure – a form of osmotic pressure that typically pulls water into the blood stream – pre-loading with sodium is a great way to bring fluid into your blood stream while exercising. When it comes to intense physical activity, starting out with more is ideal, although too much will promote too much fluid retention, causing the fluids to move into the non-cellular space in between your tissues and lead to swelling. Another pre-workout supplement that can facilitate water retention and help you stay hydrated is glycerol. Back in 1965, a group of scientists were asked to create a drink for athletes that could replace the body fluids that they lose during physical exertion. After being tested by the University of Florida football team players – who subsequently gained their first Orange Bowl win in 1967 – it was deemed a success and began to spread throughout the athletic community. 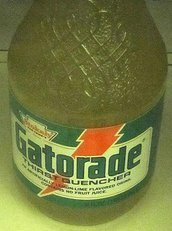 Fast-forward to today and Gatorade is one of the most popular sports drinks, with its availability spanning 80 countries including the United States, Canada and Australia. Gatorade’s rise and success is testament to the importance of electrolytes for athletes performing intense exercise and the use of salt in pre-workout formulas and meals has the same function as this popular drink. hough the downsides of high-sodium diets are a common focus in the realm of health, many gym rats are consuming salt in their pre-workout formulas – whether they realize it or not. As a key electrolyte in the human body, it makes sense that salt is increasingly being included in pre-workout formulas. Despite limited evidence of its effectiveness as a pre-workout ingredient, its role in the balance of fluids and electrolytes in the body is prompting many to use it as a supplement in order to minimize the electrolyte loss that occurs during sweating. 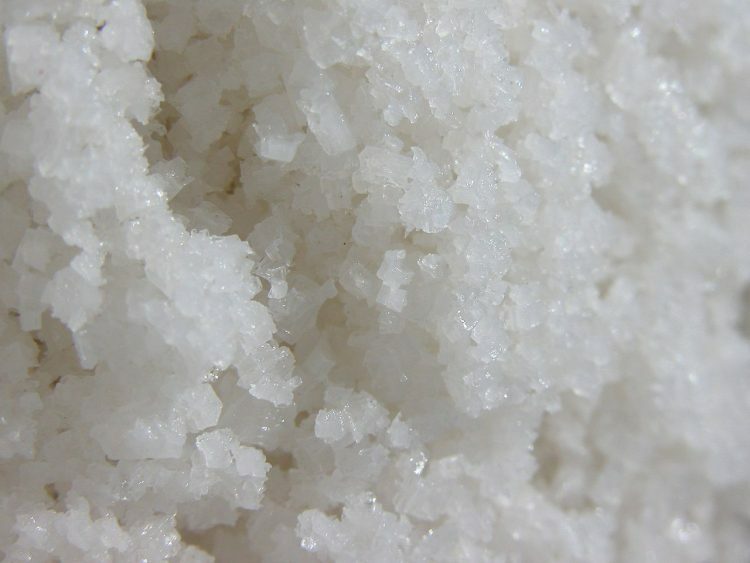 One big benefit of salt as a PWO highly cited in the community is its ability to help with muscle cramps, which are much more likely to occur when the body dehydrated due to the increased susceptibility of body and muscle tissues to overheating. While some gym buffs like to supplement their routine by sprinkling salt on their food prior to their workout, others opt for capsules. Additionally, sodium bicarbonate – also a salt – has been shown in numerous human studies to improve exercise performance,7 supporting the idea that numerous salt types are beneficial for exercise. 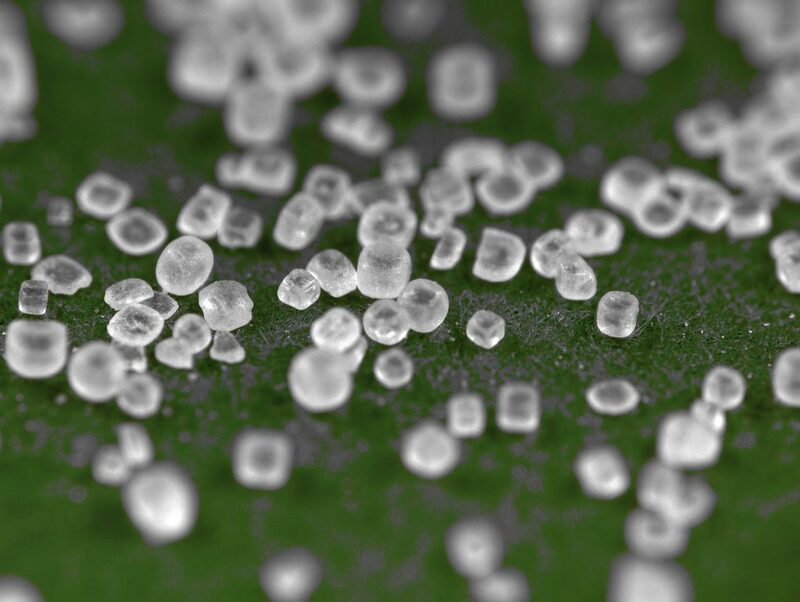 zed salt refers to table salt mixed with small amounts of salts from the element iodine. Iodine offers potential fat burning effects through its ability to stimulate the thyroid gland and help generate heat and oxidize fatty acids. Kelp is a popular source of iodine and many integrate it into their diets for its reported fat burning effects. Although no research has proven that iodized salt is more effective for pre-workout formulas than standard table salt – as research on standard salt is limited as it is – it is worth taking note of yet another potential reason for the increased inclusion of salt in pre-workout regimens. No animal research on the beneficial effects of sodium chloride on physical performance exists as of yet. In order to determine the effects of salt supplementation on performance during a half-ironman triathlon, researchers examined 26 triathletes with experience in the sport. After matching them based on training status, age and anthropometric data, participants were randomly placed into either the control group, which consumed cellulose as a supplement, or the sodium group, which consumed 113 millimols of sodium and 112 millimols of chloride. These treatments were consumed both prior to and during the competition. Measurements of maximum countermovement jumping height, body mass and maximum force during isometric strength testing were obtained before and after the race, while samples of the participants’ sweat were gathered during the running portion of the competition. The data revealed that participants who consumed salt finished the race sooner and their body mass experienced less of a reduction than the cellulose group. In order to determine the concentration of electrolytes in marathon runners and its connection to various variables such as running pace, a team of researchers examined one-hundred-and-fifty-seven runners (141 males and 16 females) conducting a marathon. The researchers gathered samples of each runner’s sweat using sweat patches and determined their concentration of electrolytes using a technique called PFP (photoelectric flame photometry). The results revealed that sodium concentrations in sweat were not connected to body characteristics, age, sweat rate, training or experience. Furthermore, although there was a connection between sodium concentration and the pace that the runners ran at, it was not strong enough to conclude a definitive positive relationship between the two. To determine if the intake of water and salt can reduce the negative physiological effects that come with dehydration stemming from exercise in heat, researchers examined 10 male cyclists with adequate training during the performance of 3 randomized trials in a dry and hot environment. At the 90-minute mark prior to cycling, the cyclists consumed either ten milliliters per kilogram of body mass of water or the same amount with the addition of salt. Following this, the participants cycled for one-hundred-and-twenty minutes. The results revealed that cyclists that consumed salt prior to exercise did not lose as much plasma volume, although sweat rate and the blood flow in their forearms remained steady across both groups. le pre-workout products and common usage in the workout community, 50 mg prior to physical activity is the most common dosage. ug Administration recommends that Americans aged four and older consume less than 2,400 milligrams of salt per day. Furthermore, high sodium intake has been linked to hypertension and hypertension-related cardiovascular disease.11 When integrating salt into your pre-workout formulas, be sure to take into account how much salt you already consume in your diet. If you’re going to be exceeding the daily limit by using it as a pre-workout supplement, try looking at some foods that you can eliminate or switch out of your diet so that you can add some sodium intake into your gym routine. tension, excessive salt intake prior to physical activity can cause an increase in fluid retention, which can lead to fluids moving into non-cellular space between your tissues and create swelling. As mentioned above, always keep an eye on your daily intake and ensure that you aren’t consuming as excessive amount of salt. Although human studies on the benefits of standard salt for exercise are limited, the current data is promising. In addition, the integral role of salt in the human body’s numerous biological processes makes it an essential part of any diet. 50 mg is the most common dosage in workout stacks and will ensure adequate electrolyte levels during workout sessions and offset any losses, while minimizing the chances of excess fluid retention.